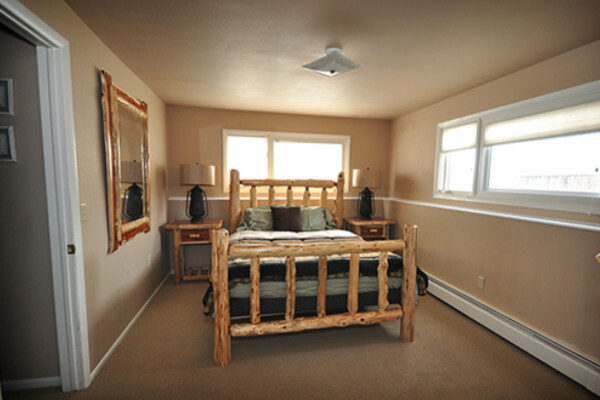 The Tri-plex cabin consists of 3 seperate lodging suites that can be rented alone for 4 or altogether for 8! 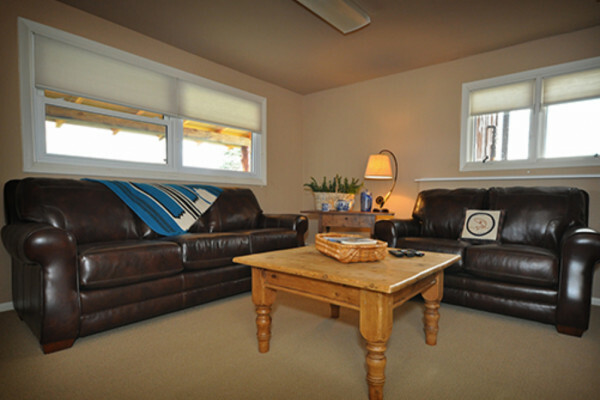 The Tri-Plex Cabin at Monster Lake consists of the Cutthroat, Rainbow which each offer one bedroom and bath + living room and the Pheasant’s Roost which offers 2 bedrooms. If you want to bring all your friends, in total, this cabin can sleep up to 8 guests comfortably with 4 bedrooms, 3 living rooms, 3 bathrooms, a kitchen and laundry facilities Each of the three units can be booked singly, or if you have a larger group you will be able to all stay in this cabin and not feel like you are crowding one another. The Tri-Plex sits adjacent to beautiful 100-acre Quick Lake and the Pheasant’s Roost offers spectacular views of this lake. 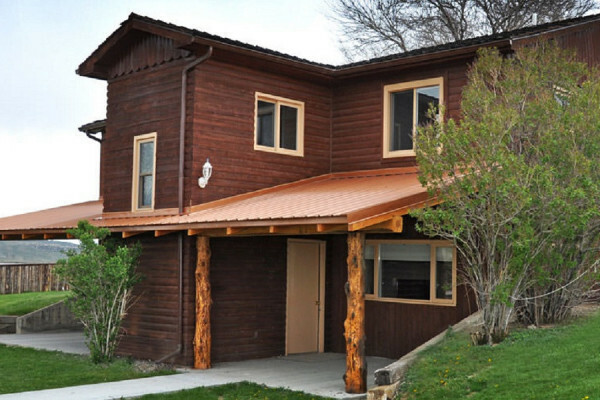 -- -- -- Along with spectacular outdoor appeal, Monster Lake Ranch offers comfortable Cody, Wyoming accommodations, quality dining and plenty of entertainment, including our old west saloon. 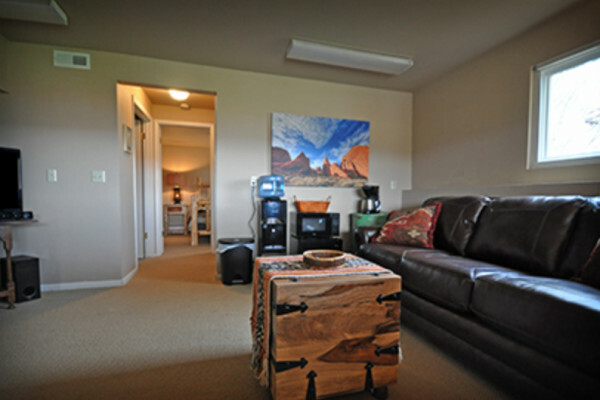 We offer a unique place to stay in Cody for travelers looking to experience an authentic western adventure in Wyoming. 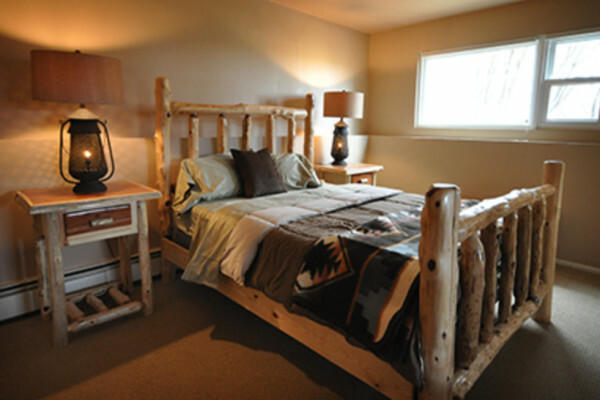 Our accommodations range from RV hook-ups, cowboy camp tents, Indian tipis, and luxury cabin rentals. 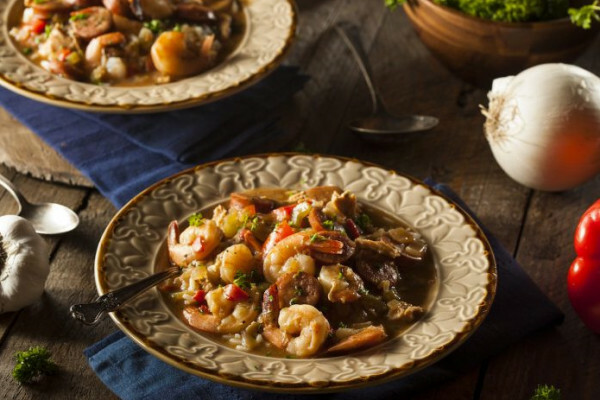 We’ll even bring out “chuck” (cowboy slang for food) for those guests who wish to eat dinner under a blanket of twinkling stars on the open range. How about western music while enjoying an after-dinner cocktail from our collector’s choice of spirits, in a personal setting at the Cutthroat Saloon? 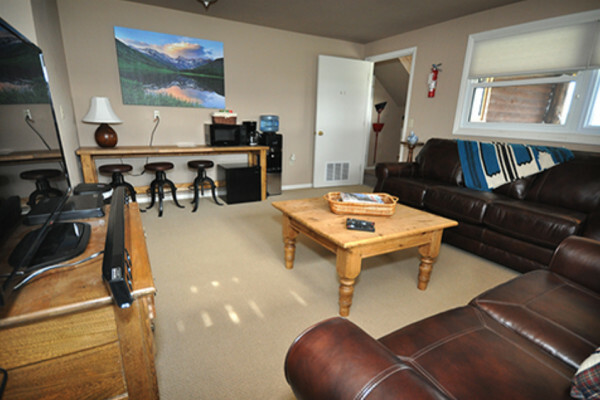 Our accommodations are also only a short walk to the water of Quick Lake and Monster Lake is just a short ride by vehicle. 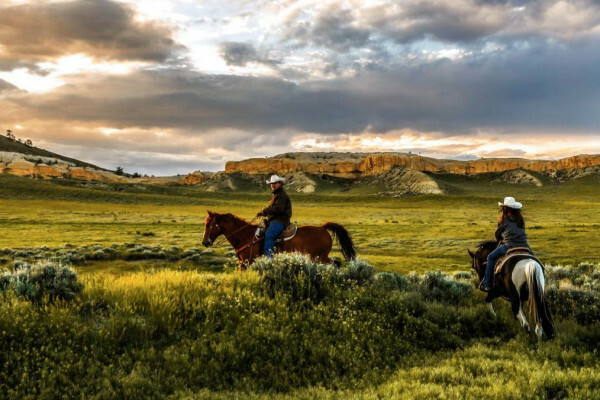 For adventurers looking for a real western experience, look no further than Monster Lake Ranch. 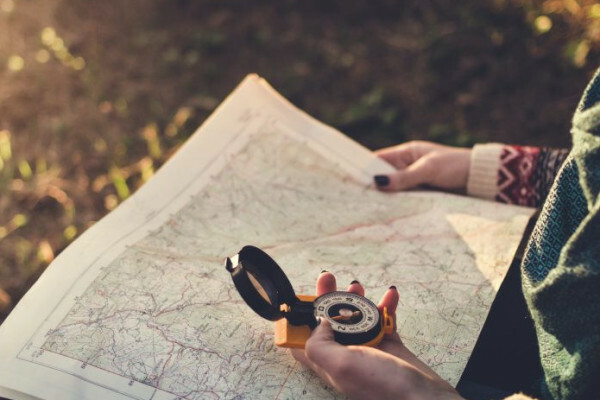 We live the western life every day and our passion is sharing the joy of the frontier with our guests. 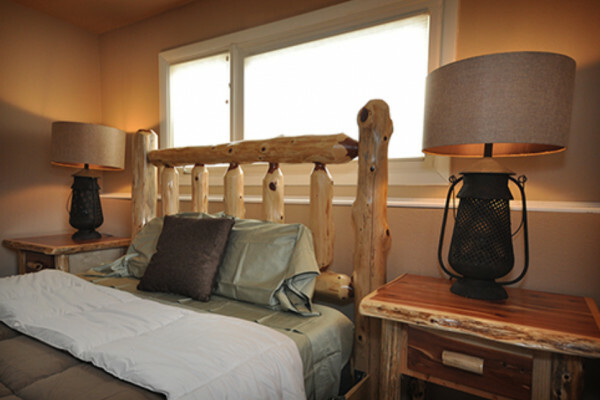 You’ll come for the wild experience, cozy accommodations, and comforting food. But you’ll return time and time again to reunite with your new Monster Lake Ranch family. 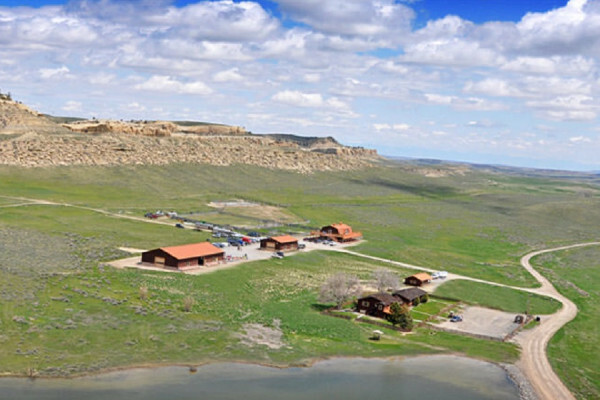 Monster Lake Ranch provides more than a place to stay in Cody, Wyoming. So come, sit a spell, and have a western excursion like no other.